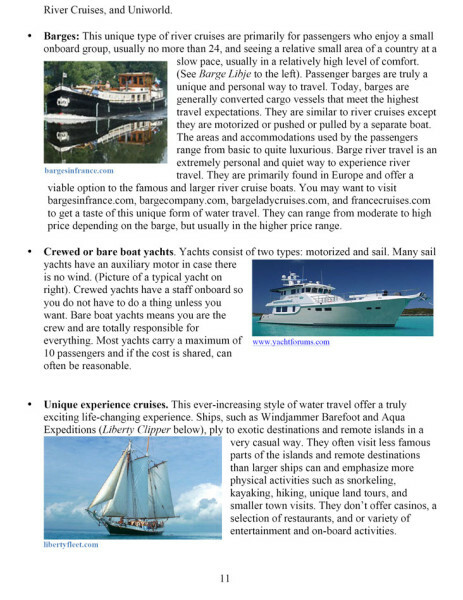 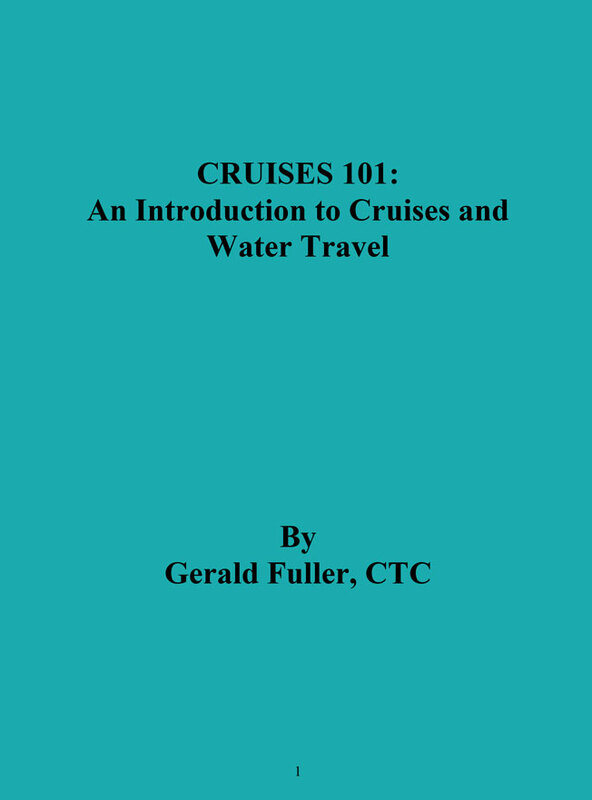 Cruises 101: An Introduction to Cruises and Water Travel will help you select the perfect cruise or type of water travel you will remember for a lifetime! 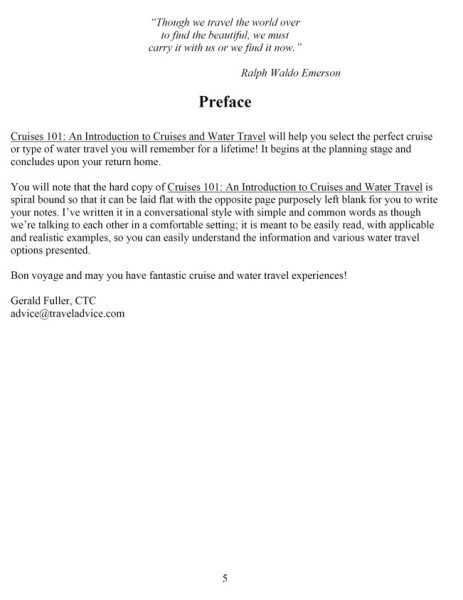 It begins at the planning stage and concludes upon your return home. 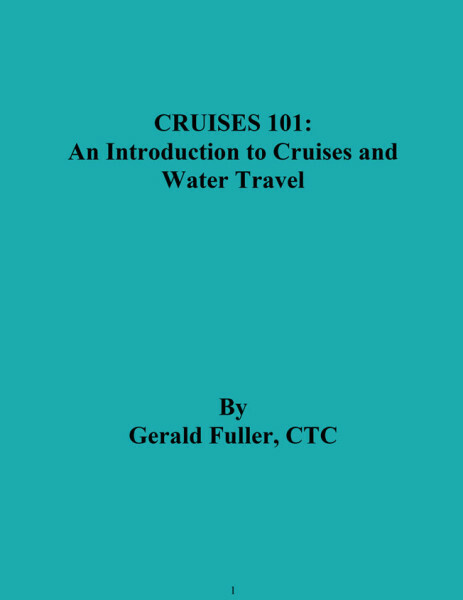 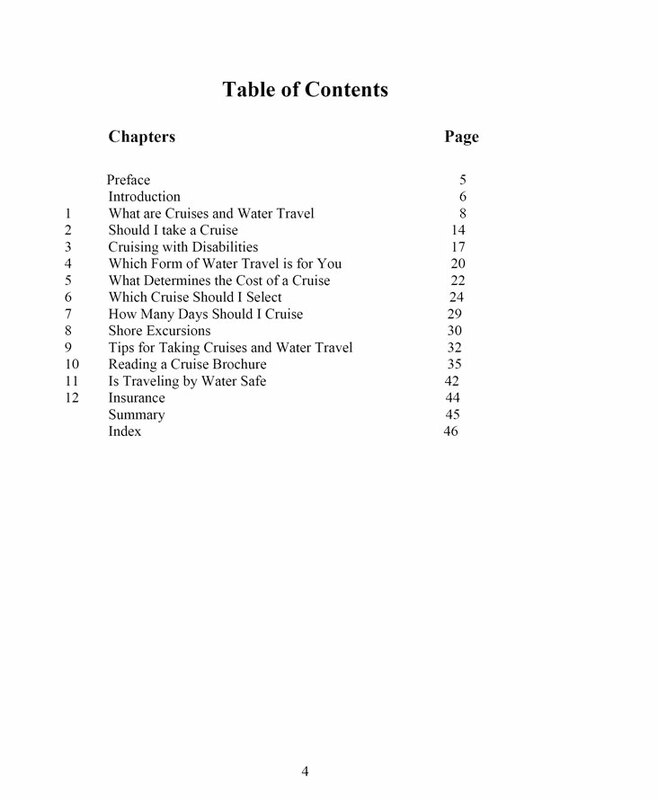 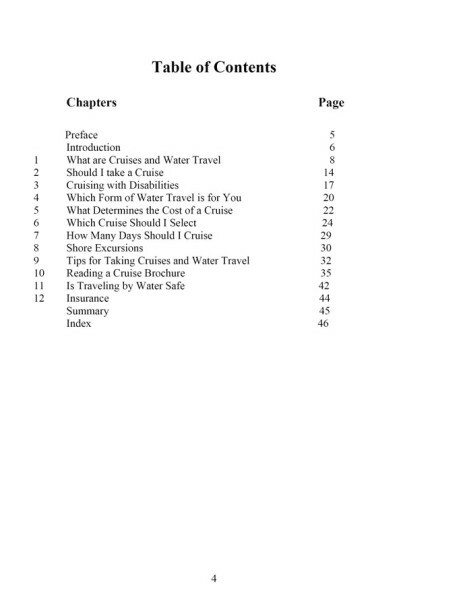 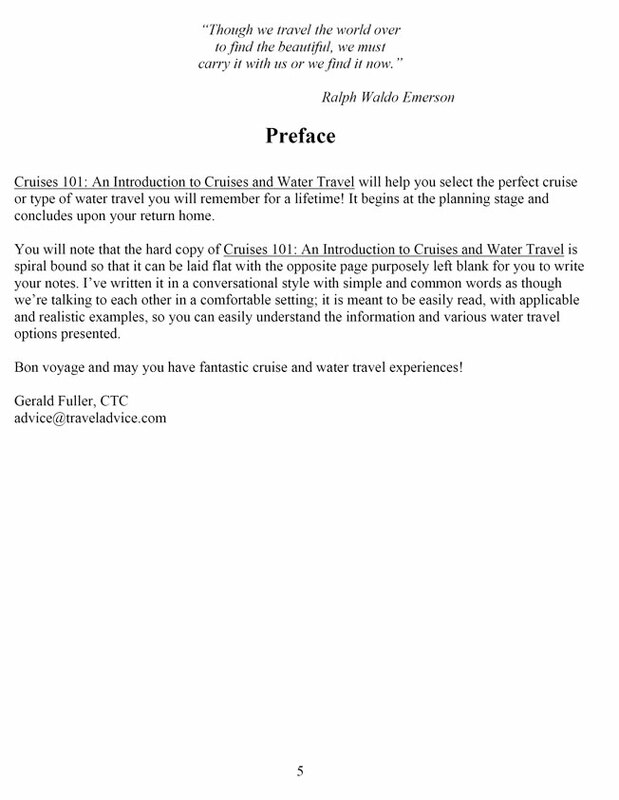 I’ve written it in a conversational style with simple and common words as though we’re talking to each other in a comfortable setting; it is meant to be easily read, with applicable and realistic examples, so you can easily understand the information and various water travel options presented.